Adela Geli, arquitecte; Roger Soler, arquitecte tècnic; Xavier Raya, estudiant d'arquitectura. 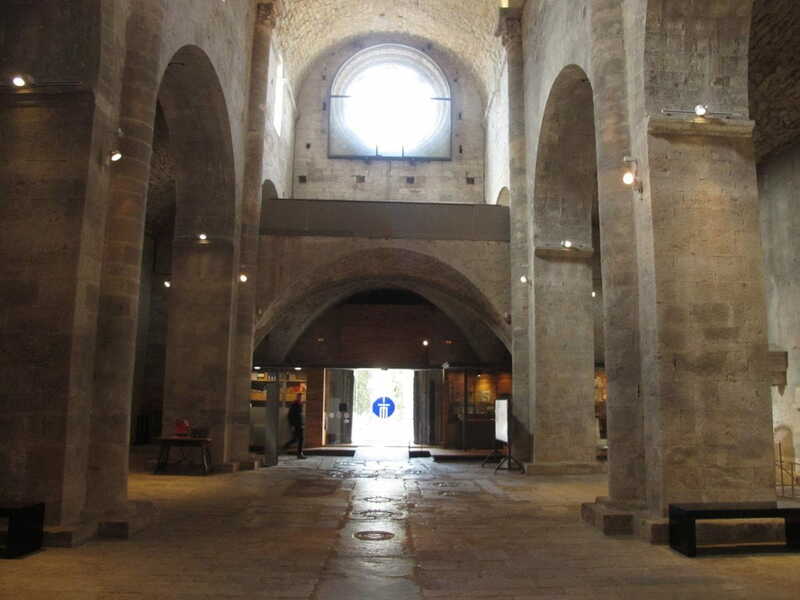 The study of a proposal for a new distribution of the visitors' reception desk and store/bookstore modules is proposed inside the main nave of the Romanesque monastery of San Pere de Galligants, in Girona. 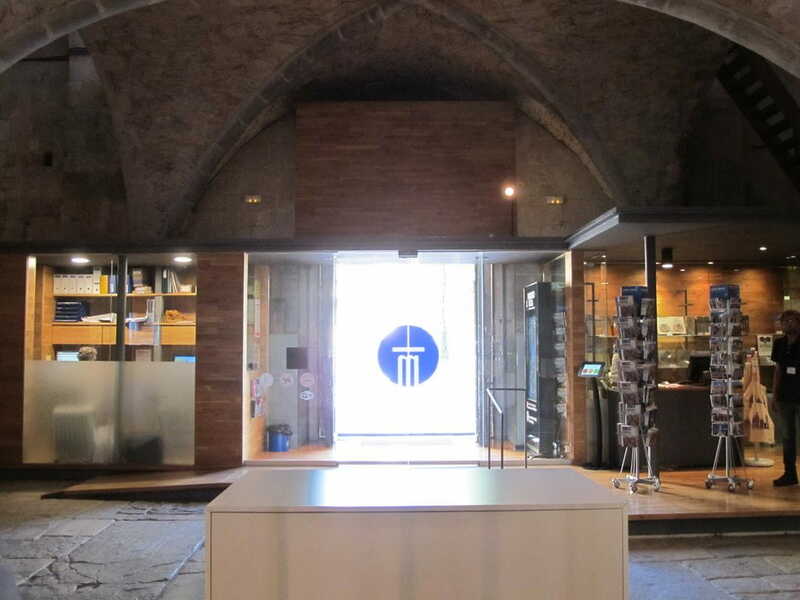 Climate confort conditions of the new space are intended, therefore it is necessary to plan a closure of the modules with lightweight materials and duly integrated aesthetics that suite the monastery monument as a whole. 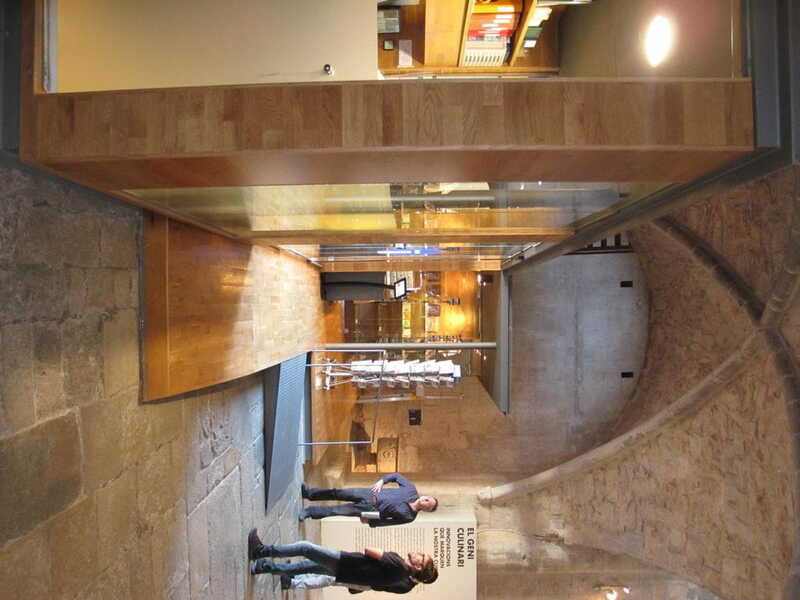 Moreover, it is necessary to foresee the accessibility needs on the main entrance space as well as the need of spaces for storage and product stockpiling of the store-bookstore. · Space and modules accessibility and functionality analysis. 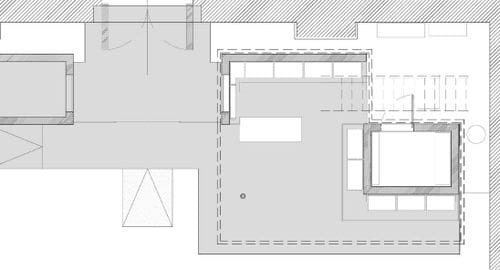 · Formal and constructive proposal: dimensions, section, access, materials... Sketching, detailed drawings and measurements. · Construction system to be used. 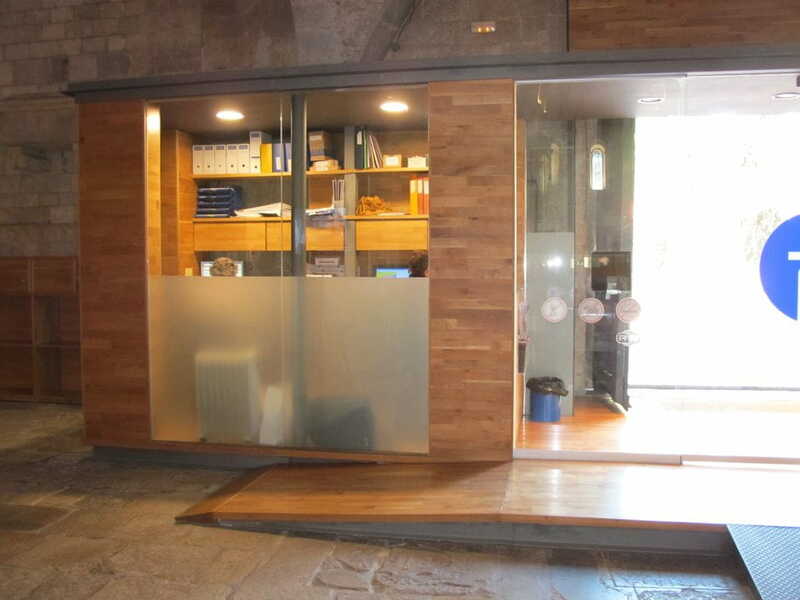 · Client assistance in the assessment and selection process of a contractor. 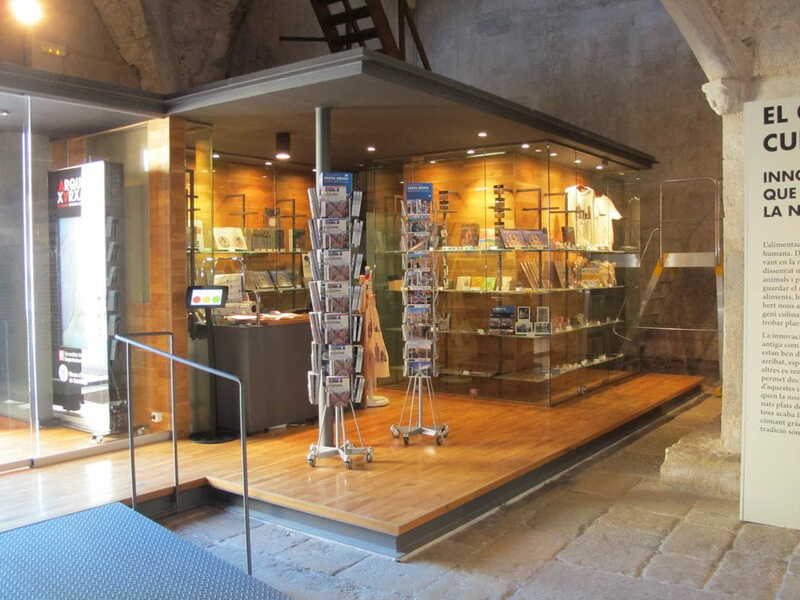 The final document that will be delivered to the Museu d'Arqueologia de Catalunya will allow to undertake the necessary actions to carry out the intervention works in the visitors' reception desk and store-bookstore modules of the monument.